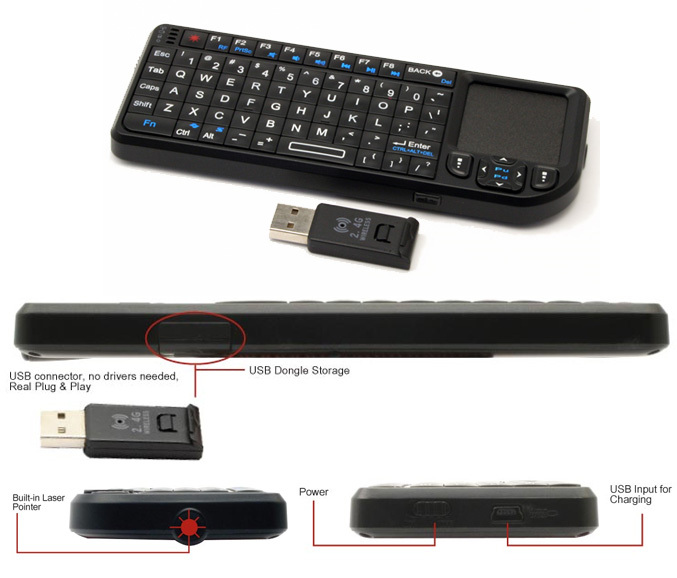 VisionTek launches the CandyBoard, a wireless mini keyboard featuring integrated touchpad, 69 keys and according manufacturer is fully compatible with Xbox 360 and PlayStation 3 consoles. The keyboard utilize 2.4GHz wireless connectivity via USB dongle, ranging up to thirty feet, feature backlit LEDs keys, gaming-oriented navigation keys designed to “be used as joystick controls ” and a “capacitive-sensing” touchpad to eliminate the need for a separate mouse. It also includes a built in laser pointer for boardroom or lecture style settings and rechargeable Li-ion battery. The VisionTek CandyBoard is available now with MSRP of $89.99.